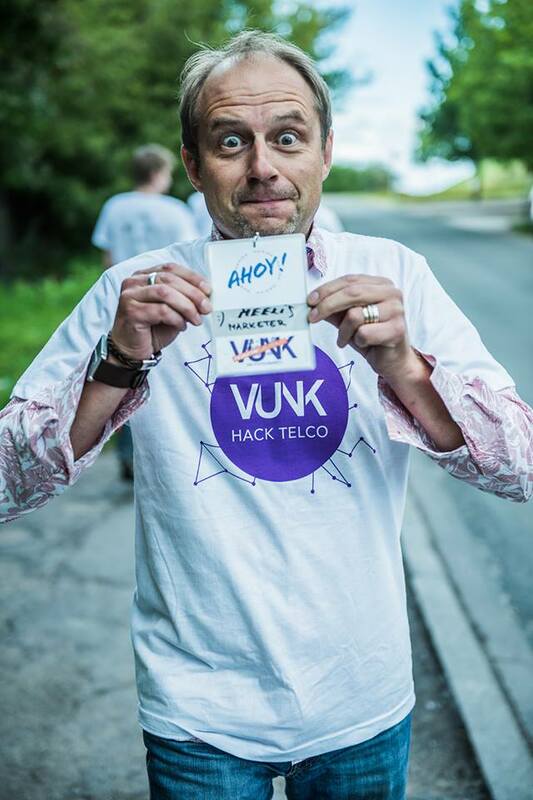 In an alphabetical order get to know #GetVunked2015 team No. 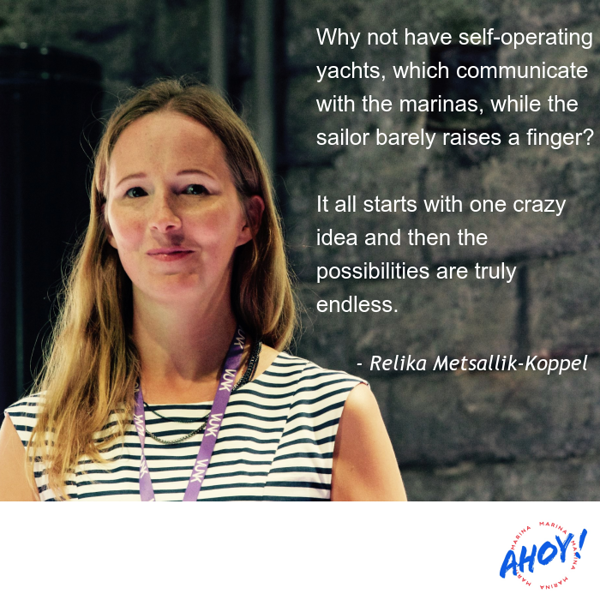 Four - Marina Ahoy & Co-founder Relika Metsallik-Koppel. They do like to tackle questions concerning the future of sailing and by doing so they have attracted together a team from different backgrounds and experience to take as much fun out of the process as possible. Ahoy! Relika, what entrepreneurs do you admire and why? I admire all entrepreneurs who aren’t afraid of disrupting the norm and going against the ‘accepted’ pattern of thinking and doing things. Those who work hard on a genius idea, even when there’s a lack of initial support from their peers because the idea seems too crazy or ambitious at first glance. I look up to business people who’ve managed to turn a simple idea into an empire, regardless of what other people think. The likes of business magnate Elon Musk, Google’s Larry Page, and AirBnB’s Brian Chesky come to mind — not only because they’re wealthy and successful in their business endeavours, but because they achieved their goals using creative and often unconventional methods. I’m also inspired by entrepreneurs who innovate their industry’s market in a way that’s never been done before. Those that are unique in their approach to business and are, above all, completely fearless. More locally, I believe that Estonians Rain Lõhmus (banking) and Reet Aus (upcycling fashion designer) definitely stand out. Tell about your team dynamics (culture). We’re driven by creativity, intelligence, fun and curiosity. 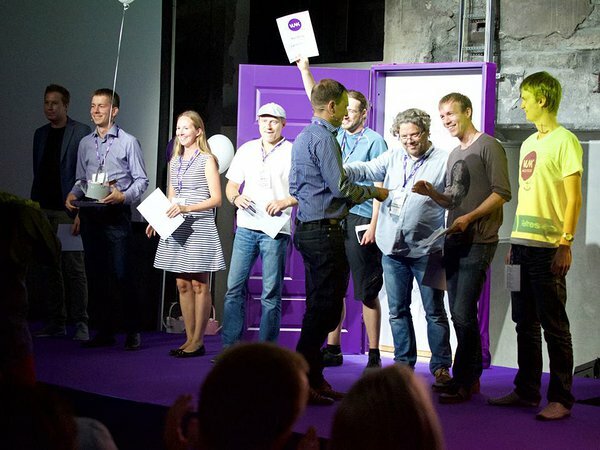 As our team is still growing and changing, it’s hard to define a fixed culture, but we’re definitely looking for a specific type of person to join us and that type has as much to do with the individual’s approach to life and entrepreneurship in general as it does to their professional talents and skills. Even though we’re working on a technical solution, first and foremost, it’s people that we create the product for, and it's people that we work with, not machines. This strong human element is definitely a huge part of our culture already and our fervour for it will only increase as we move forward. ight now, our success is measured in terms of the faith our team members have in the idea, the company and the product we’re working on. This mindset, coupled with a good level of synergy between team-members with different talents and backgrounds, plays a huge role. Such cohesive factors will only make us stronger in the future as we further develop Marina Ahoy. I can’t leave out having fun too! Working for a startup has to be fun – you experiment, you test, you fall, get up again, use common sense and then try a new approach, you generate exciting ideas and create something from zero. Trial and error is always fun, and you need to take every failure with a pinch of salt and learn from it. If it’s not fun for you, there’s no way you’ll ever be successful. Just like the entrepreneurs I look up to, in 5 years time we will have completely revolutionized the way sailing and marina management is carried out all around the world. Our plan for the future is not only to offer our product as a communication and services platform, it will also hopefully play a huge role in totally re-designing the marina ecosystem. In a few years the world will have self-driving cars. Why not have self-operating yachts, which automatically communicate with the marinas, while the sailor barely raises a finger? Why not bring sailing to the masses and simplify it in a way that we cannot even imagine right now? It all starts with one crazy little idea and then the possibilities are truly endless.